Unless otherwise noted, all photographs are copyright of the /Martin Kyburz / Swiss Mustangs collection. ​​​​​​​The same aircraft, J-2113, seen here displayed at the Swiss Transport Museum, Lucerne, in August 1982, shortly before it was given as permanent loan to the Swiss Air Force Museum, Dübendorf (photo: Fergal Goodman). Detailed photos of this aircraft can be found under "walkaround". 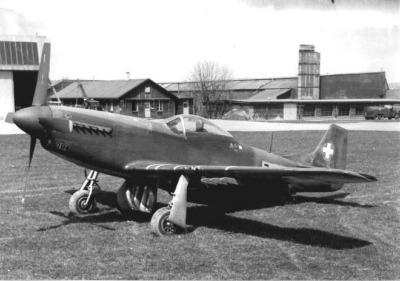 P-51D-20-NA J-2003 (44-72350) shortly after delivery to the Swiss Air Force. 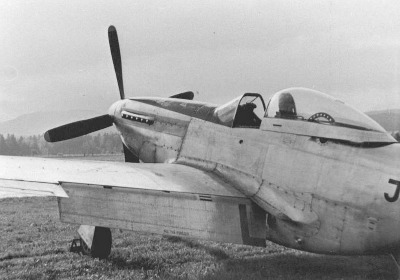 Note the early style markings - full red rudder with white cross and square insignias on wings. J-2088 (F-6K-10-NT 44-12232) leading J-2036 (P-51D-20-NA 44-72201) over Lake Thun (Thunersee) between of Leissigen and Krattigen, ca. 1950. 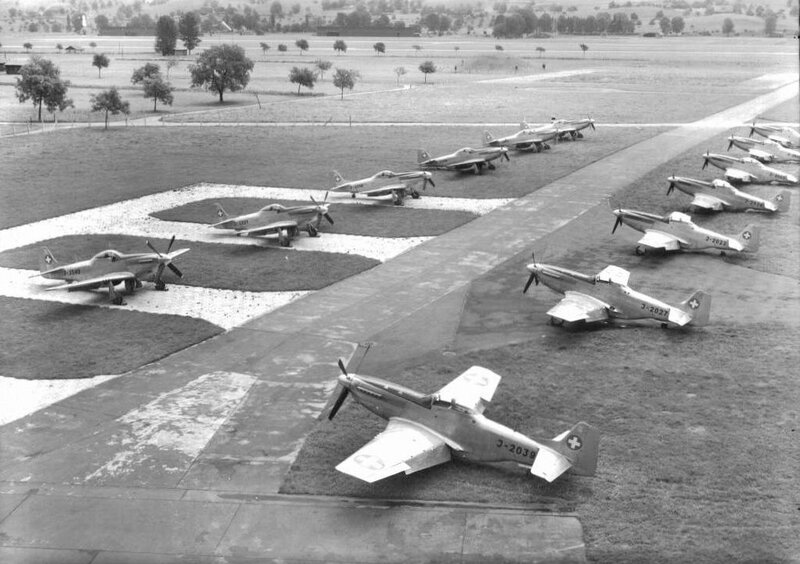 Mustangs on the ramp at Dübendorf Airfield 1949. 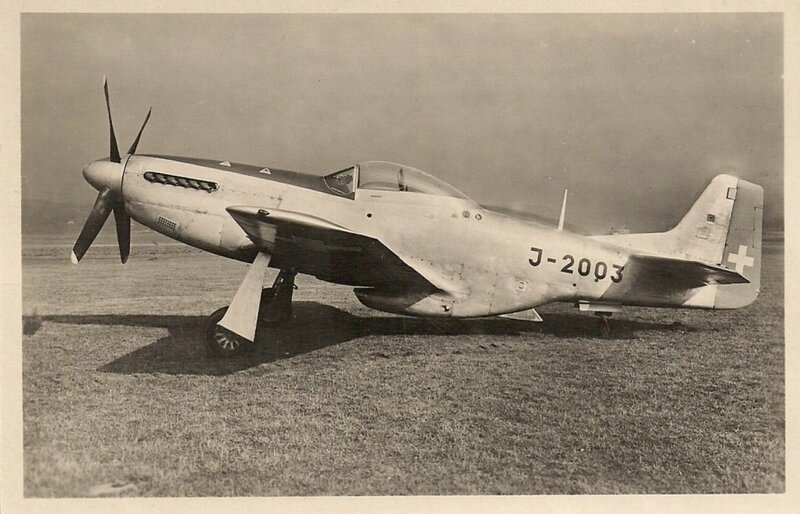 Second aircraft is P-51D-20-NA J-2036 (44-72201). 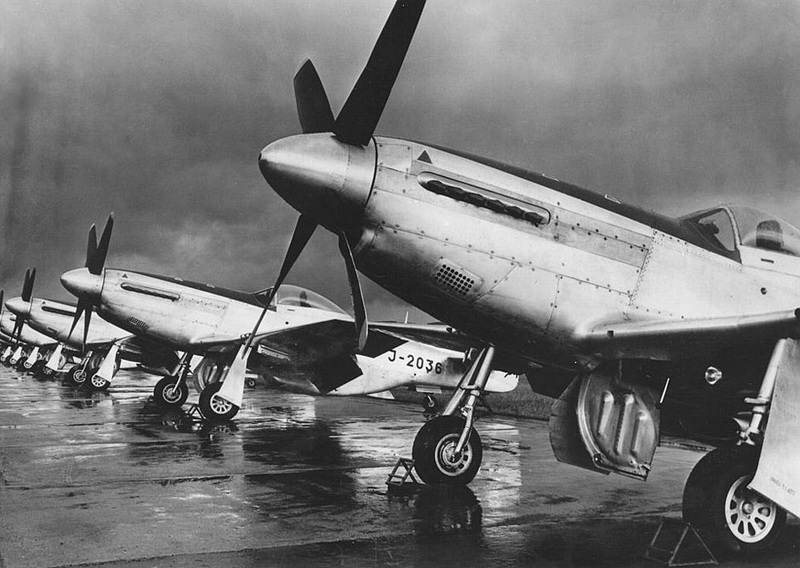 Newly refurbished P-51D's at Buochs Airfield, Summer 1948. 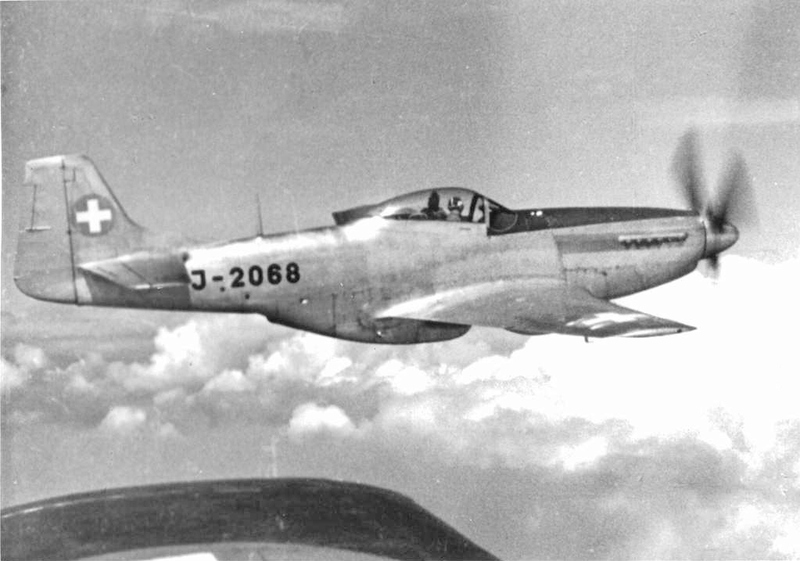 P-51D-20-NA J-2068 (44-72283) on high-altitude patrol. 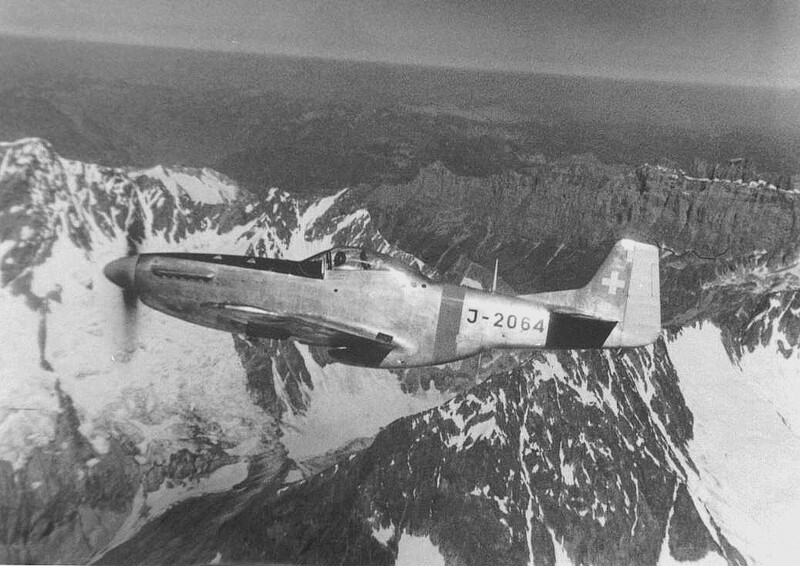 P-51D-20-NA J-2064 (44-63666) crossing the alps. 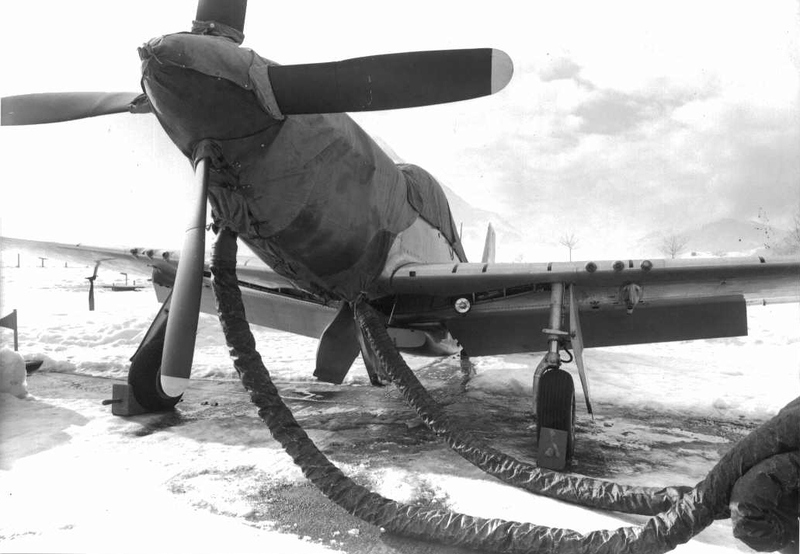 The yellow fuselage band and spinner in same colour were short-lived war-game markings. 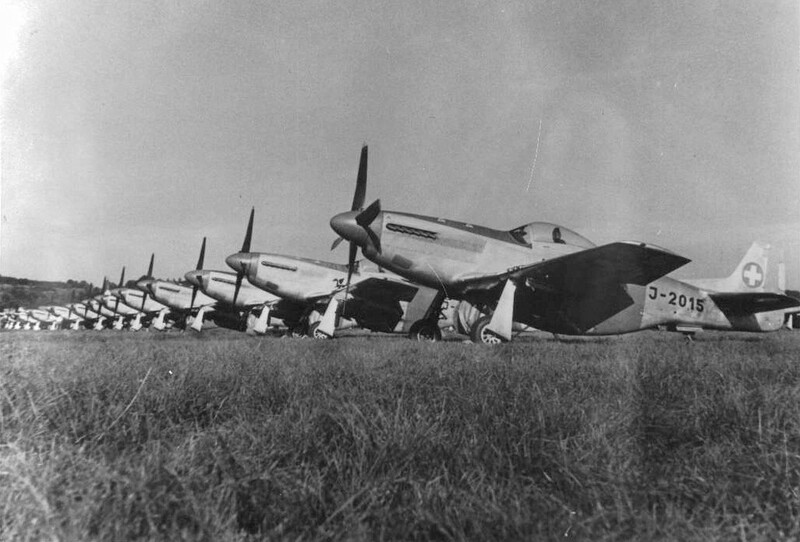 Mustang line-up at Dübendorf. 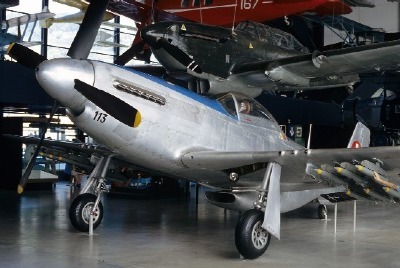 Nearest aircraft is P-51D-20-NA J-2015 (44-72243). Note insignia-red noses and fuselage bands. 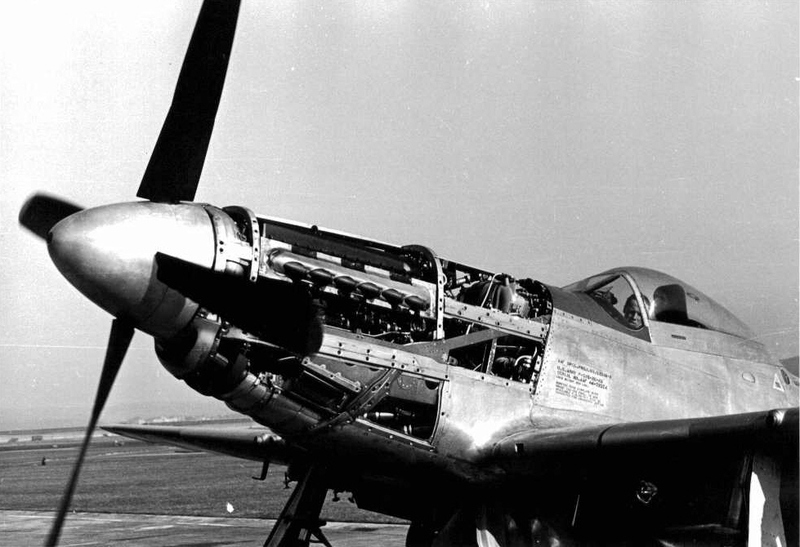 Fine close-up-study of a Mustang and its Hamilton-Standard HS 24D50-87 (cuffed) propeller. Packard Merlin V-1650-7 engine-installation. 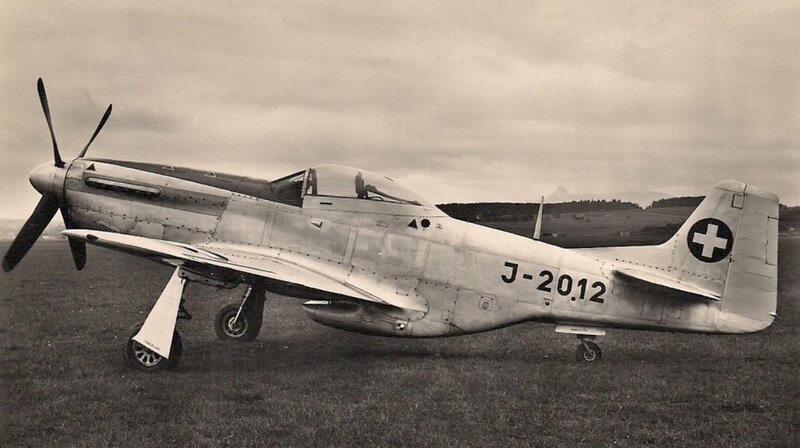 This is P-51D-20-NA J-2002 (44-72374). 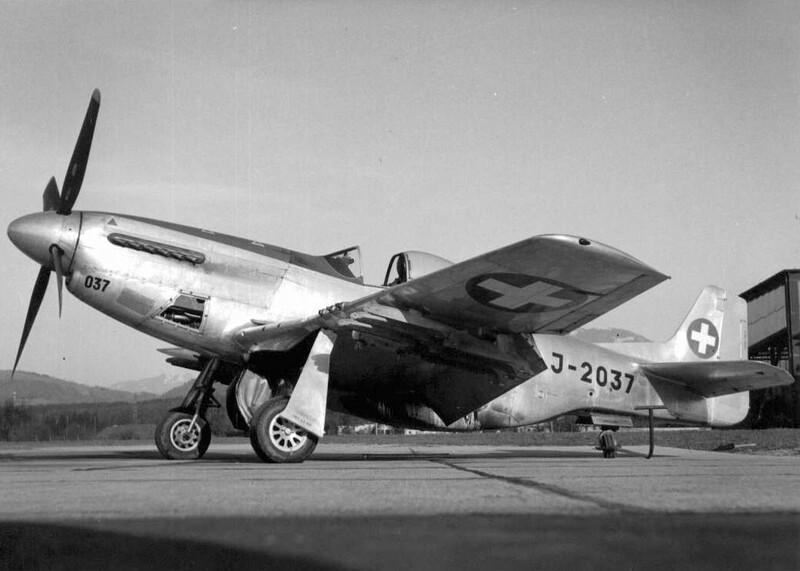 P-51D-20-NA J-2037 (44-72316) at Emmen, Summer 1953. This aircraft is equipped with a Hamilton Standard HS 24D50-105 propeller (uncuffed, 'paddle-blade' type). 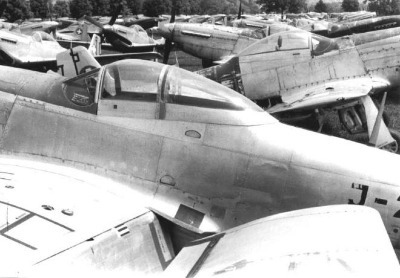 Dübendorf, Summer 1949; nearest aircraft is P-51D-20-NA J-2002 (44-72374) with P-51D-20-NA J-2062 (44-63440) behind. 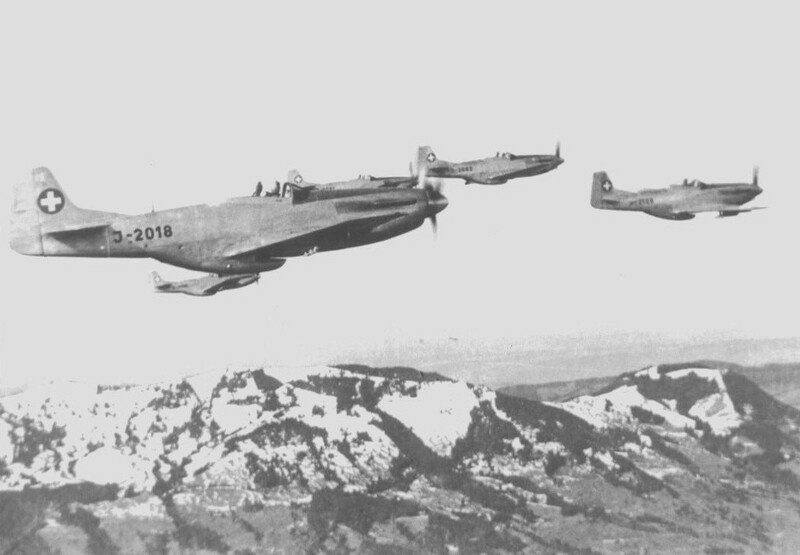 Mustangs on patrol over the Swiss mountains, Spring 1949. 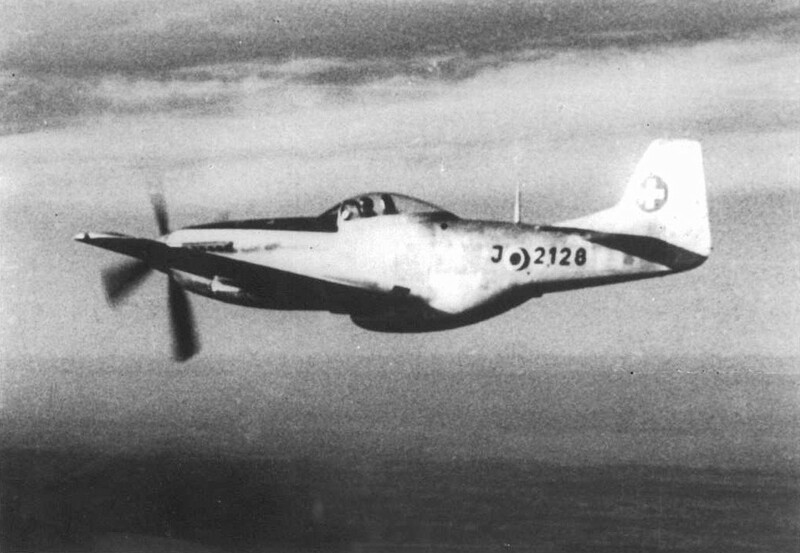 Nearest aircraft is P-51D-20-NA J-2018 (44-72301). F-6K-10-NT J-2128 (44-12525), an original reconnaissance-conversion made at the Dallas-factory, seen here on a test-flight, Summer 1950. Note camera-port (Alfred Muser). 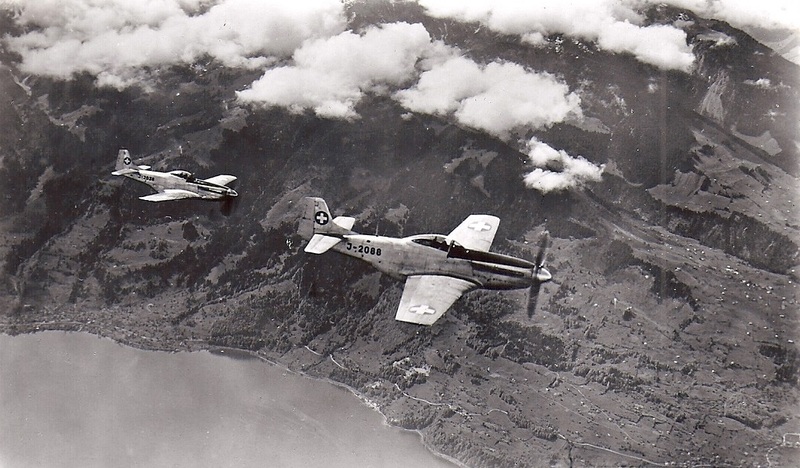 Nice in-flight study of P-51D-25-NA J-2122 (44-73048) (Alfred Muser). 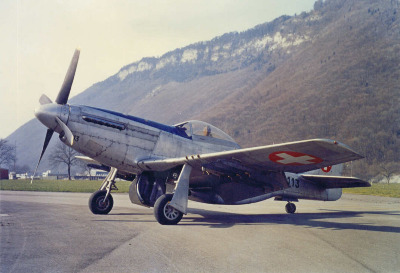 P-51D-20-NA J-2103 (44-63643) during warm-up at Buochs during Spring 1954. 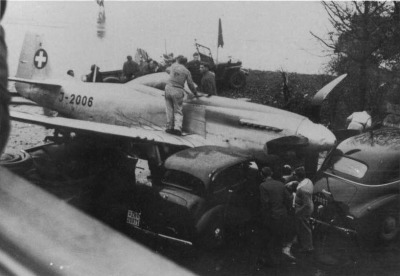 Note the Swiss developed rocket-launchers (Franz Kuster). Cold weather operations at Buochs. 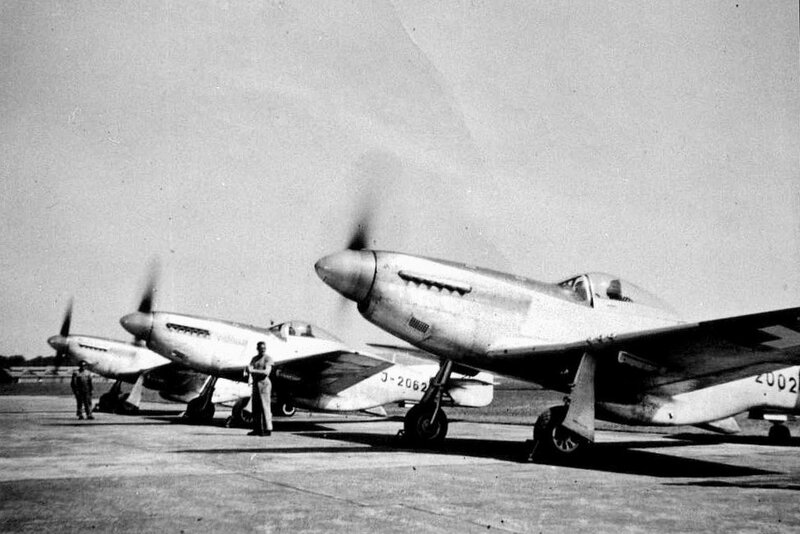 P-51D-20-NA J-2053 (44-72149) at Payerne, early 1954, with P-51D-20-NA J-2024 (44-72469) behind. 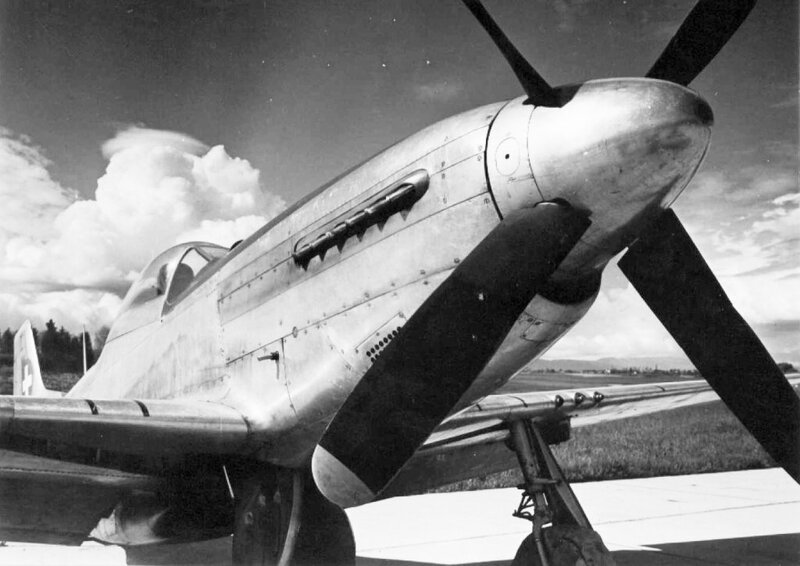 Both aircraft have Hamilton Standard HS 24D50-105 paddle-blade propellers installed (Franz Kuster). 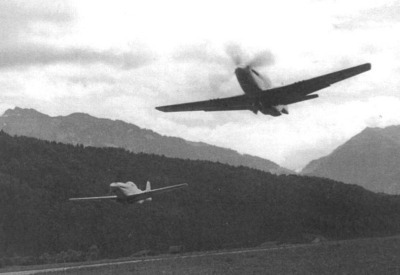 A pair of Swiss Air Force Mustangs taking off from Buochs Airfield 1954. 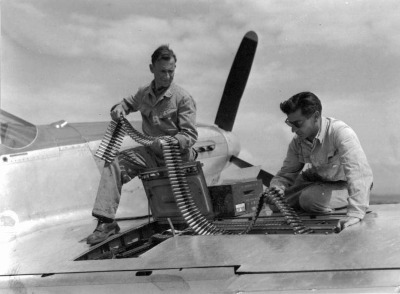 Arming the guns of P-51D-20-NA J-2049 (44-72458). 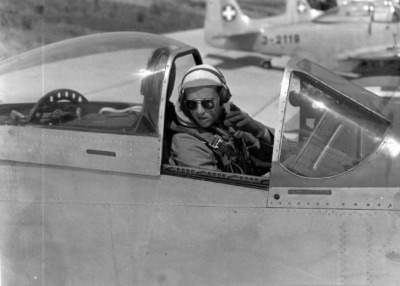 The small air-intake in front of the cockpit is a Swiss modification; it provided additional fresh air to the cockpit. A Swiss Air Force pilot getting ready for a training mission. 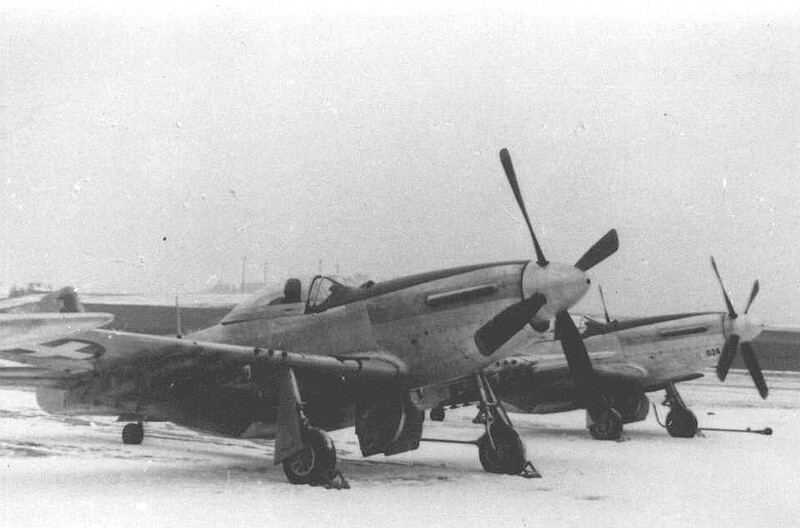 The aircraft is P-51D-25-NA J-2095 (44-73233), with P-51D-25-NA J-2119 (44-72789) in the background. 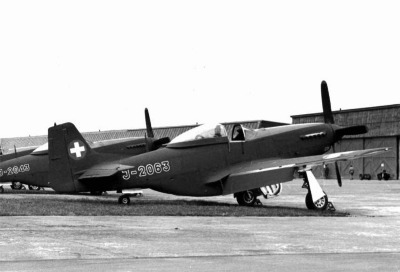 P-51D-20-NA J-2046 (44-63717) at Emmen Airfield, Summer 1949. 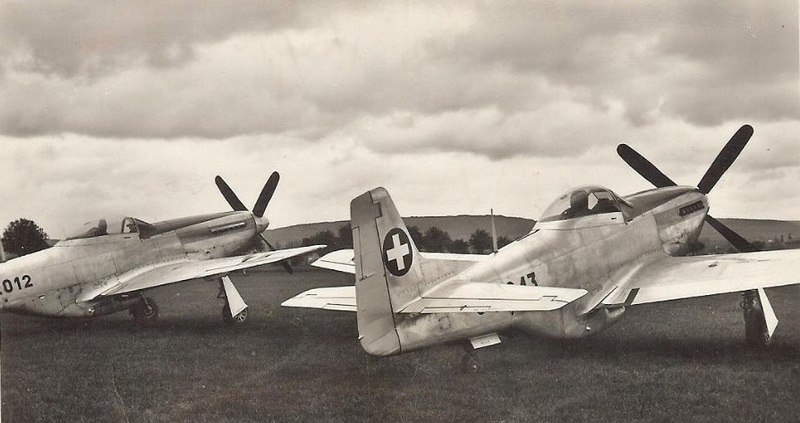 Runways can be slippery when wet.... On 29th February 1952, J-2006, a P-51D-20-NA (44-72456), overshot the runway after landing at Dübendorf in heavy rain and subsequently bent itself and three parked cars. Signs of time. 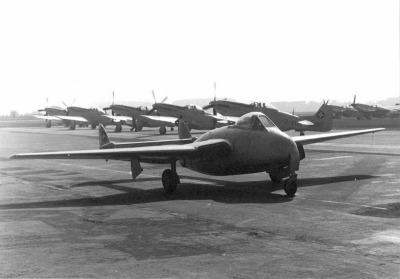 A DeHavilland Dh-100 Vampire taxies past several Mustangs, Dübendorf, Summer 1954. 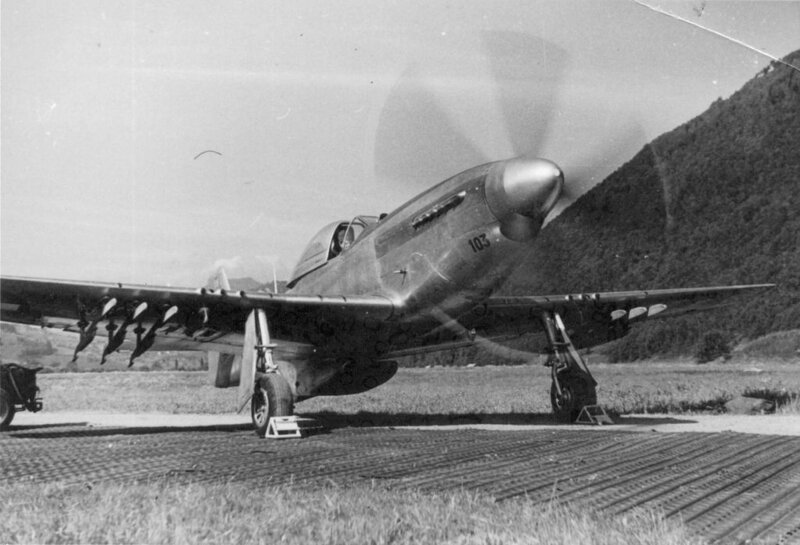 The jet-age was about to render the piston-engined fighters obsolete.